Nick and I are excited to officially announce that come this December, we are expecting baby #2 and we're just completely over the moon with this news! A few months ago, I wrote how "April is off to a fantastic start" (you can read that blogpost here), and although I was indeed mostly referring to our awesome bronchoscopy results and finally being able to move forward with weaning Evanna off the ventilator (!!! )....I was somewhat secretly referring to the fact that Nick and I had also found out that I was pregnant and due at the end of the year and things were finally looking on the "up and up" for our little family (well... it's about time!). I've been very open to the fact that Nick and I want more kids, and how we've been a little surprised that it's taken longer than expected for it to actually happen (I seriously thought we'd be working towards baby #3 by now.... but obviously this type of thing is somewhat outside my control). We took last summer off from trying, and gave my body a break after my miscarriage in July -- but were a little taken back when it didn't happen right away like it did the first two times. In February I got some blood work done to check my hormone levels, and despite slightly lower progesterone levels (that my GP said was most likely due to stress... which I completely blame on our very chaotic hospital admissions this past Fall) my doctor stated that he was confident I would get pregnant by the end of the year given our history. Thankfully he was right, and once our life resumed to "our normal" and my stress level came down a few notches, we finally got that positive pregnancy test we had been waiting months for. I'm already 17wks pregnant (and will actually be 18wks tomorrow), and can't believe we're almost at the halfway mark! While it's been no secret to anyone who's physically around us such as our friends, family, and my coworkers -- as hiding this bump would be completely impossible (I actually started showing at 9/10wks), finding the time to publicly announce the news kind of fell to the bottom of our priority list with our trip up to Edmonton for Evanna's cath and so much of our focus on our California referral (update coming soon - I promise!) and weaning Evanna off the ventilator. Then I found out my dear friend Alissa who's an absolutely amazing photographer (and have been wanting to do a photography session with her for years) was coming up to Canada for the summer (both her and her husbands family live up here), and so I decided to hold off another few weeks til she got here to do the photoshoot with her. As for documenting this pregnancy, I'm curious to see what happens. Evanna has been the "star of the show" for quite sometime, and as everyone knows, subsequent children are documented slightly less than the oldest. 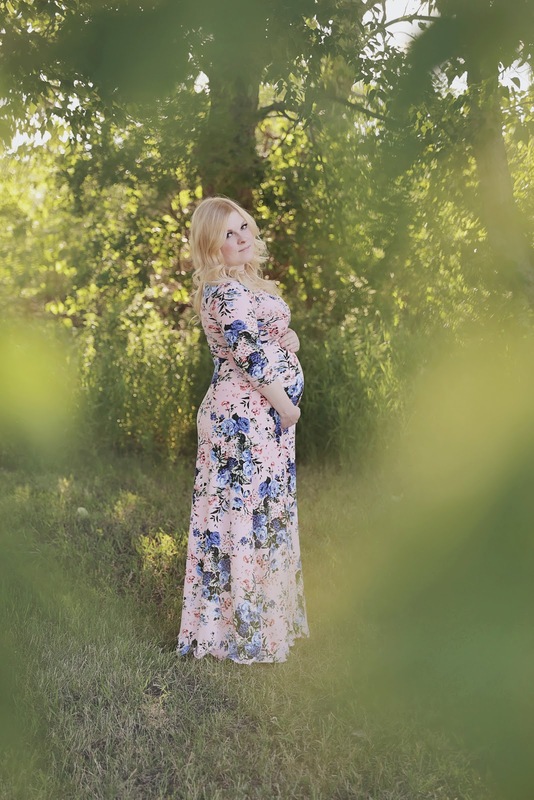 My personal goal is to include "bump updates" at least once a month, and do a good summary of each trimester (already working on one for the first!). For example, I want to document what it's been like breaking the news to our medical teams in both Calgary and Edmonton, as the response has been incredibly encouraging and extremely heartwarming to say the least. 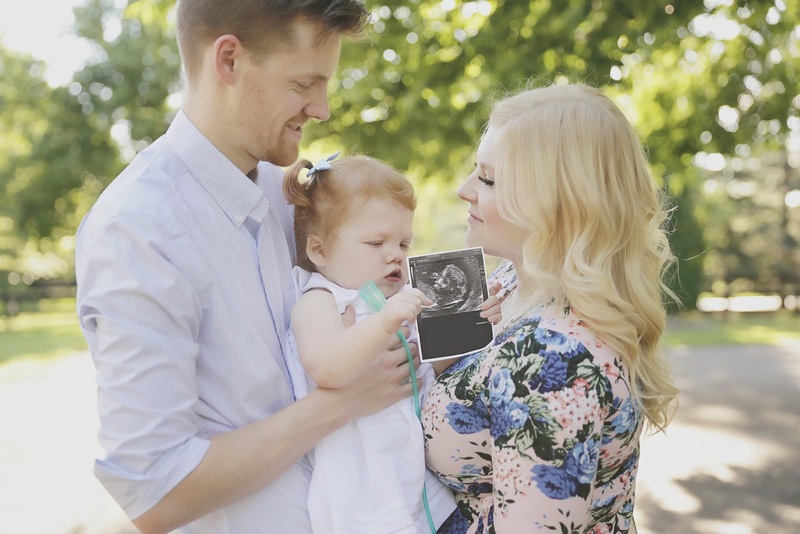 We have built some wonderful relationships with many of the specialists + intensivists involved with Evanna's care, and I think because they know and truly understand everything we've been through -- there have been a number of doctors (like our cardiologist!) who have been extra excited about my pregnancy. On the flip side, there has also been some anxiety and fears with this pregnancy (can you blame me?) 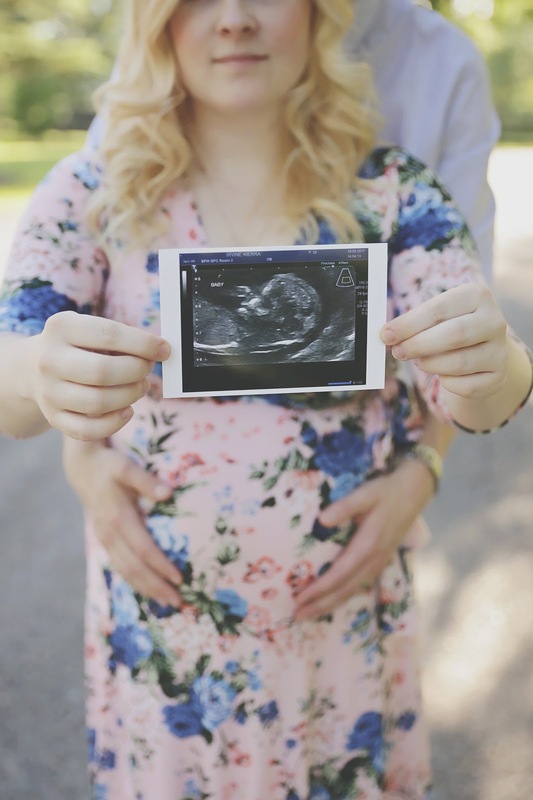 -- and while some of my fears have been put at ease by our genetics team and the positive nuchal ultrasound we had several weeks ago, I'm definitely nervous for our detailed ultrasound that's booked in exactly two weeks time! A few months ago I was approached by the Orange Socks Organization, and asked if I would be interested in a doing a little podcast interview talking about the day we received the news of Evanna's diagnosis, the impact it's had on our lives, how she's doing now, and what the future holds for our family. In anticipation of this pregnancy announcement, I thought it would be a great opportunity to pair the two together -- as it would help sum up our journey thus far and show that despite the last few years being incredibly hard and full of trials, things are looking up and we actually have a lot to be thankful for. Link to the interview HERE (it's about 15 minutes long).